Not sure what to read? There’s always more Moore! We continue our tour of Alan Moore’s ABC imprint with Promethea, his take on a female warrior goddess hero. But if you’re expecting Wonder Woman, think again. In classic Moore fashion, we end up with a story that pushes the boundaries of the imagination with artwork by J.H. Williams III bringing that vision to life. Join us as we read Promethea #1-6. It’s been way too long since we read some Alan Moore, so it’s time to remedy that with his run on Swamp Thing from the early 80’s. It’s dark, twisted stuff that turned the concept of Swamp Thing on its head and reinvigorated the franchise and influenced to many other comics to this day. And that terrific horrific art by Stephen Bissette…. treat yourself. In the Criminal Justice System, the super-people gotta deal with two separate, yet equally important groups. 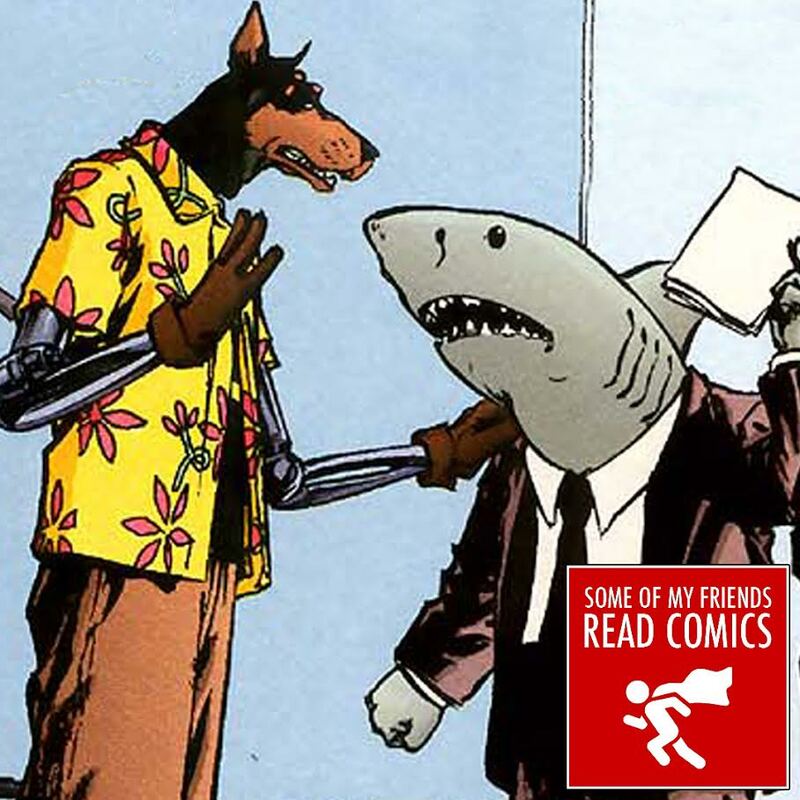 The Top Ten precinct and their dog-boss who investigate the super-crimes and the shark-people who do a terrible job of trying to defend them. This is Alan Moore’s story. 75 years ago, if you had told us that a guy who runs around in clown makeup stealing jewels would one day become the most iconic supervillain in comics, then we’re afraid we wouldn’t have heard you because we weren’t born yet. 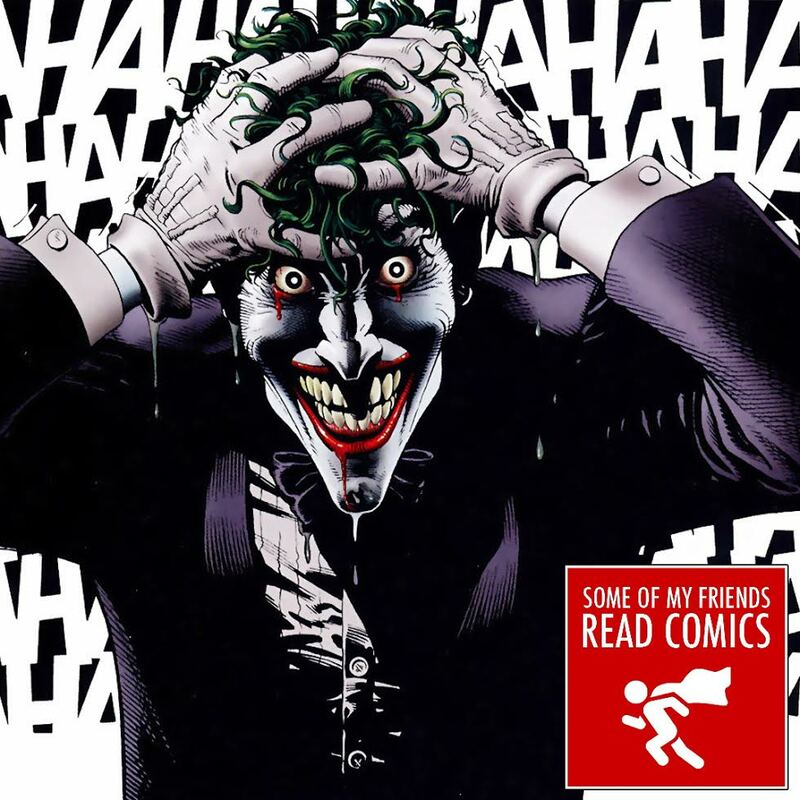 In this very special episode all about The Joker, we take a look back at his first appearance in Batman #1 and then read what has been called the greatest Joker story of all time, Alan Moore’s controversial The Killing Joke. Join us, won’t you?